Part 1 - Part 2. The article also contains a lot of images, e.g. from the EMP display. Courtesy of Blurt Magazine and Gillian G. Gaar. Posted or updated: 04-29-2011 @ 5:52 PM (GMT) by RH. The domain nirvana.com is finally online for the first time ever. The official Nirvana website currently only offers a newsletter sign-up form and a link to the official Facebook page for the band. Apparently the official site has been opened to mark the 20th anniversary of Nevermind. Posted or updated: 04-21-2011 @ 5:36 PM (GMT) by RH. In a recent poll, Rolling Stone asked their readers to name the best music video of all time. Nirvana came in at #3 with Smells Like Teen Spirit. The list also included videos by Pearl Jam, Soundgarden and Foo Fighters. The list is topped by Michael Jackson. Posted or updated: 04-21-2011 @ 7:36 AM (GMT) by RH. More coverage of this past weekend's opening of the Nirvana exhibit at the EMP in Seattle: For an extensive collection of pictures from the event, check out this set on flickr. Also see this collection by Christopher Nelson. Posted or updated: 04-19-2011 @ 9:15 PM (GMT) by RH. Very interesting Nirvana article from NPR. Read it here. Posted or updated: 04-19-2011 @ 9:08 PM (GMT) by RH. The Sonic Youth documentary 1991: The Year Punk Broke is scheduled for a fall release - to coincide with the 20th anniversary of the film. The film follows Nirvana, Sonic Youth, Dinosaur Jr., Babes in Toyland, Mudhoney, and other classic alternative acts along a European tour just before the explosion of Smells Like Teen Spirit and grunge mania. This release will feature a 42-minute bonus movie including previously unreleased footage of performances from Sonic Youth and Nirvana. Check out spin.com for more information or the official site of the movie which has exclusive clips. Posted or updated: 04-19-2011 @ 9:06 PM (GMT) by RH. Comedy Central's ATOM.com released a Kurt Cobain themed video, Saving Love: Presented with a time machine, an average joe attempts what every man dreams of: single-handedly saving the future of rock and roll. Posted or updated: 04-19-2011 @ 8:54 PM (GMT) by RH. Share your memory of the first time you heard SLTS on the official Nirvana Facebook page. Posted or updated: 04-17-2011 @ 7:47 AM (GMT) by RH. NFC News Nirvana exhibit @ EMP now open! 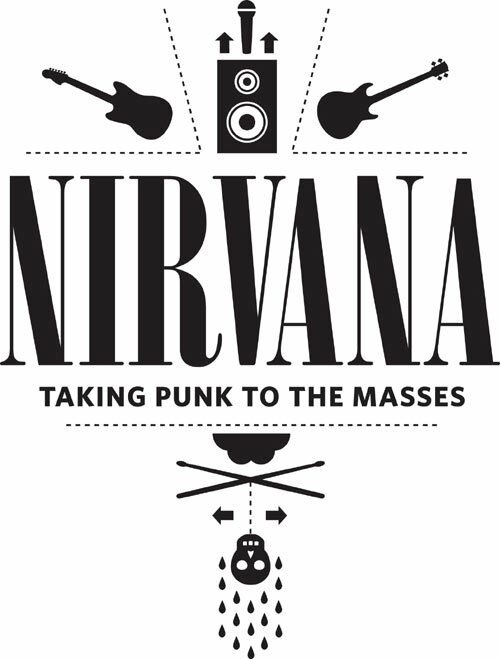 The Nirvana exhibit Taking Punk To The Masses at the Experience Music Project museum in Seattle is now officially open. Posted or updated: 04-17-2011 @ 7:44 AM (GMT) by RH. The day we finished the record, we had this club gig to do. It was in this little bar down the street, a surprise show. I invited Krist to come down and play a song. We wanted to play "Marigold," which was the b-side of the "Heart-Shaped Box" single, and it was the only Nirvana song I sang. I said, "Krist, for the encore, I'll play drums, you play bass, Pat plays guitar, we'll do that song. And that'll be the first time we've been together onstage since Nirvana ended." So we go to the studio that day to practice. We run though the song once and then Krist says, "Hey you guys want to do some moldy oldies?" Me and Pat look at each other and go, "Okay, what do you want to do?" He says, "Let's do Smells Like Teen Spirit." "Okay." I hadn't played that song in 18 years. I haven't even played the drum beat to that song in 18 years. And we played it. And there's only one person in the studio, who was Scott, the studio manager. Halfway through the song he opens up the door and he looks in, and watches for a minute and closes the door again. We ended the song and look at each other like, "That was strange." We walked out and Scott looked at us and said, "Yeah, it sounded pretty good. You guys should keep that." 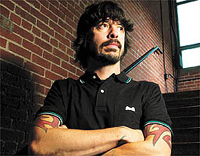 Read the full interview here where Dave talks more about working with Krist and Butch Vig again and how Dave almost became the drummer for Tom Petty after Nirvana ended. "We ran through the song (Marigold) we were going to play and we thought we were done," Grohl recalls. "It was just the three of us in the studio and Krist went, 'You want to play any mouldy oldies?' And I went, 'Er, OK' because we'd never done that. Ever." Novoselic had a particular song in mind. "Krist went, 'F--- it, let's play (Smells Like) Teen Spirit. And so we played Teen Spirit." There were no vocals and no witnesses. "The only other person in the whole building was Scott who runs the studio. Scott opened up the door and heard us playing Teen Spirit, stopped for a second, looked puzzled and he closed the door. Posted or updated: 04-15-2011 @ 5:50 PM (GMT) by RH.